French physical therapist in Tokyo, posturology, auriculotherapy, nutrition - Site de kinesitherapeute-tokyo-eng ! 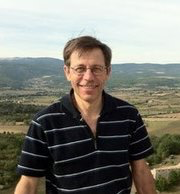 Daniel Fillit got his French physiotherapy license in 1980, at the renown school of Physiotherapy in Montpellier (France). -"Societe Internationale de Rehabilitation Vestibulaire"
-"Groupe de Recherche et d'Enseignement en Therapies Manuelles"
-"Groupe Lyonnais d Etudes Medicales"
He has practiced in France until 2003, then in Canada until 2010. Living now in Tokyo, he is practicing at Yoyogi Paramedi Center, within an interdisciplinary team of expatriate therapists. The time dedicated to the anamnesis is specially important, in order to direct the treatment, which is always comprehensive and etiologic. That means our approach does not consist in treating only the symptom, but also correcting the initial dysfunctions the pains have originated from. Those one may be from postural, traumatic, or nutritional origins, among others. Each treatment is therefore individual and specific of the altered function, and requires usually few sessions. or send a message with the tab "CONTACT"